Meet Moldova - Legend and Awards - MEET MOLDOVA. WHO KNEW? By 2015, no other winery in all of America, Germany, Austria or all of Central Europe won more prestigious Decanter Worldwide Wine Awards than Chateau Purcari. 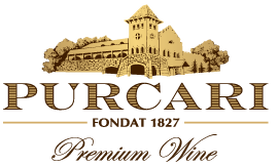 By 2017 no other winery in the world won more prestigious Challenge du Vin gold medals and a Grand Prix than Chateau Purcari. From 1827 to 2013, the wines of Purcari were served at the table of the Czar, kings and queens of Europe and other famed nobleman. At one time they were as famous as the wines of Burgundy and Bordeaux. And now they're back. These wines are all hand harvested and the laws on wine production in Moldova forbids the use of many additives. All wines produced in Moldova are free from mega purple dye, potassium sorbate, sugar and added tap water allowing for a more natural and pure wine. Moldova has been producing wines for over 5,000 years. Who Knew? Who Knew? Moldova has been making wine for over 5,000 years. These wines are all hand harvested and produced without mega purple, potassium sorbate, and sugar that other wineries around the world routinely use. After just 3 short years, these wines have become some of the most awarded wines in the world. Just what exactly does Moldova look like? Take a look.